The S-350E Vityaz was unveiled at the MAKS 2013 Airshow held near Moscow in August 2013. Image courtesy of Vitaly V. Kuzmin. Testing of the S-350E Vityaz is expected to be completed in 2014. Image courtesy of Vitaly V. Kuzmin. The mid-range guided missile system S-350E Vityaz is compatible with two missiles including 9M100 and 9M96E / 9M96M. Image courtesy of Vitaly V. Kuzmin. Deliveries of the new S-350E Vityaz missile systems to the Russian Army are anticipated in 2016. Image courtesy of Vitaly V. Kuzmin. 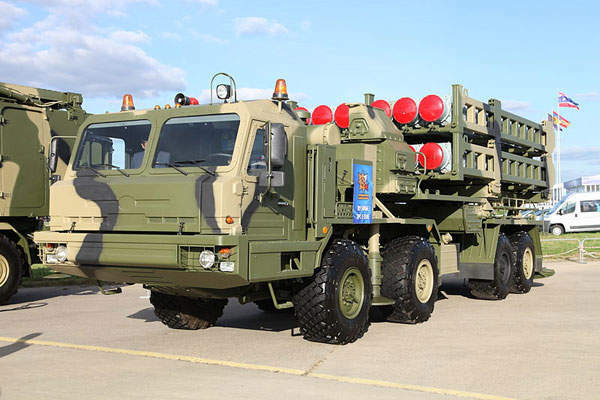 The S-350E Vityaz (50R6) is a surface-to-air missile (SAM) system designed and manufactured by Almaz-Antey Corporation, for the Russian defence. The dual defence missile system was unveiled at the MAKS 2013 Airshow held in Moscow in August 2013. The missile testing is expected to be completed in 2014 and mass production is slated to commence in 2015. Deliveries to the Russian Army are anticipated in 2016. 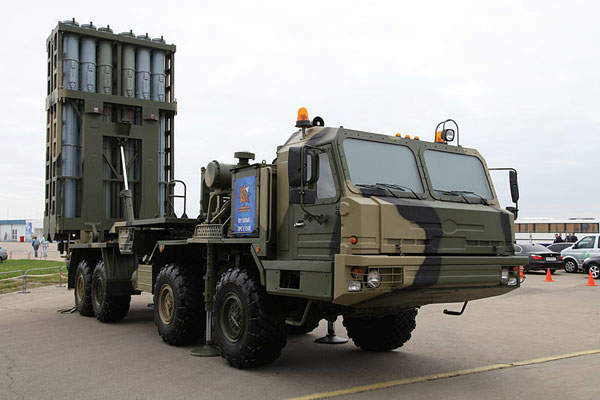 The mid-range S-350E Vityaz air defence missile system was manufactured by the Northwest Regional Centre of Almaz-Antey. It is a highly mobile system featuring the 8×8 truck chassis BAZ-6909. The BAZ-6909 can tackle a maximum gradient of 57 %, side slope of 38%, fording depth of 1.4m, and trench of 1.5m. The missile system can be fitted with independent torsion-bar wishbone suspension with telescopic shock absorbers. Other equipments fitted to the system include a filtering and ventilation system, a heater, and communication, decontamination and protection systems. The metal stamped cab of the missile has two welded doors and can accommodate up to three people. The missile can also deploy protected cabs and frame-type cabs with local armour. The S-350E Vityaz can carry up to 16 aircraft or 12 vertically launched missiles. Each S-350E Vityaz system consists of three 50P6 launcher trucks, a 50K6 command and control vehicle, and 50K6E command post. The basic missile can load 48 weapons per battery. "The S-350E Vityaz can carry up to 16 aircraft or 12 vertically launched missiles." 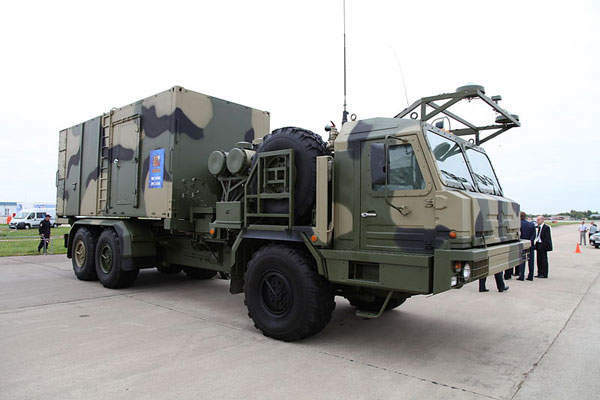 The missile system is equipped with relay station for communication equipment, shelter-mounted fire control system with multifunctional target, and surveillance radar 50N6A. The centralised tire and air pressure regulation system of the S-350E Vityaz consists of a pressure control valve, shutoff valves of the wheels, and piping. The system is monitored from the driver seats. 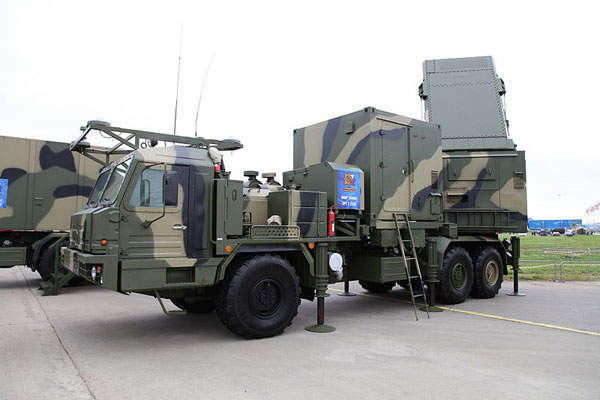 The new S-350E Vityaz SAM defence system has been developed since 2009. It is expected to replace the previous variants of the S-300 systems and complement S-400 systems. The S-350E Vityaz mobile air defence system is developed based on the design of the KM-SAM Chun Koong system of South Korea. The KM-SAM surface-to-air system was developed by the Agency for Defense Development with design support from Almaz-Antey. "The S-350E Vityaz mobile air defence system is developed based on the design of the KM-SAM Chun Koong system of South Korea." The mid-range guided missile system is compatible with 9M100 and 9M96E / 9M96M missiles manufactured by Fakel Design Bureau. The 9M100 is a short-range missile featuring infrared (IR) guidance. It is 2.5m long, has a 125mm diameter body, and weighs 3,073kg. It is used as both a surface-to-air missile and an air-to-air missile, and has a maximum range of 10km. The 9M96E / 9M96M, which is originally meant for the S-400 missile system, is a dual-role, self-defence and IR-guided missile. It can load FRAG-HE warheads of 26kg and travel at a speed of 900m/s up to a range of 40km. It features active radar terminal homing guidance system and measures 4.75m in length and 333kg in weight. It has a body diameter of 240mm and wing span of 480mm. The 9M100 and 9M96E / 9M96M missiles can be launched from solid propelled rockets with thrust vector control. The propulsion system of the BAZ-6909 truck includes a YaMZ-8424.10-033 engine, a clutch and a gearbox, all placed behind the cab. The V-type multi-fuel, four-stroke engine consisting of eight cylinders runs on liquid cooled diesel and produces 470hp of power. The vehicle can achieve a maximum speed of 80km/h and has a maximum range of 1,000km. The Akash (sky) is an all-weather medium-range surface-to-air missile (SAM) system developed in India. It provides multidirectional and multitarget area defence.